Abstraction has made an explosive return to the visual arts in the past five years or so, and every now and again, an artist who is relatively unknown will surface with work that’s astonishingly fine. Dayton-area based Beth Hertz is just such an artist. An acolyte of Stanton MacDonald-Wright and Morgan Russell, Hertz was fascinated by an early movement in abstraction known as Synchromism, often confused or linked with the Orphism of French artists Sonia and Robert Delaunay. First appearing in the early part of the twentieth century, around l9l0, when the lyrical abstraction of Wassily Kandinsky was becoming a dominant expression of non-objective painting, Wright and Russell, and eventually Hertz, attempted to fuse or blend both abstract painting and music into a wholeness they called Syncromism; we might now call it an interdisciplinary approach to both the visual and performing arts, music in particular. In the late sixties and early seventies, a kind of hybrid art form known as synesthesia had a very popular run, and its antecedent is clearly synchromism. Hertz’s paintings are reductivist; she uses the building blocks of painting, color, shape, and form to create abstract paintings of extraordinary subtlety and beauty, using mainly very bright color, either the primaries or often bright pastels. Creating shapes that express movement across the canvas, particularly juxtaposing curvilinear with rectangular geometric shapes, Hertz has produced an incredibly wide range of paintings which seem to glide across the canvas (some are horizontal, others vertical). 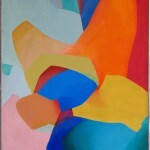 While her colorful shapes seem to move, they also create harmonies that very nearly are musical in intention and effect. One can see aspects of both Kandinsky’s studies in non-objective painting and some of Fauvism’s early ideas about color and form integrated into Hertz’s own work. The incredibly smooth and subtle gradations of her hues show a painter of real confidence, one who understands the language and power of color, shape and form. Looming behind early abstraction are the late color studies of Monet in particular, whose interest in color may be said to have liberated color itself from form and altered how we view color from the late l880s to the present. Hertz’s paintings look back to late Monet, to early Fauvism, but also forward to the pure geometric abstractions of Ellsworth Kelly. For example, the influence of synchromism was probably far greater on artists themselves than it was in the ‘movements’ of the twentieth century as defined in art history books. 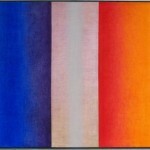 One can see how aspects of synchromism must have had an influence on painters like Mark Rothko, whose round and rectangular shapes, one often on top of the other, may have grown directly out of this movement. 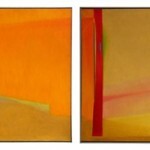 Some of Hertz’s own paintings have a real affinity to Rothko’s. 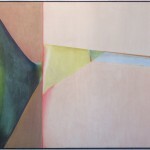 Hertz’s paintings manifest a sureness of touch and a confidence with color harmonies. Her organic shapes (shapes taken from the natural world, like Miro’s and Arp’s) combine with rectilinear forms (from pure geometry, referencing all the way back to Plato’s ideal of beauty, the actual origin of what came to be known as geometric abstraction) to create juxtapositions that are, indeed, rhythmic. They bring to mind musical rhythms and harmonies. Abstraction may still baffle people, because its intentions and goals are both basic and sophisticated, but if you let yourself look at Hertz’s paintings, not only will you see how subtly she may shift the texture within her shapes, from purely matte or sometimes glossy to mottled, so that one feels the importance of the individual gesture, a sense that everything in her paintings has been planned to maximize the impact of both movement and the joys of pure color hues and harmonies. 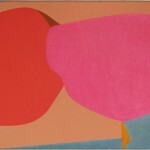 One need not look for further meanings; the language of abstraction does place art back within its basic components. El Lissitzky, in particular, comes to mind: since synchromism and constructivism appear within about ten years of each other, it’s highly likely that creative painters were borrowing ideas from one another. Fauvism lurks in the forefront of synchromism, as well. 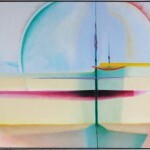 Hertz’s paintings are clear precursors to what became known as the color field painters of the sixties and seventies: what’s so impressive about Hertz’s work is that it combines all these influences while remaining stylistically unique. If Matisse is known for the primacy of color over line (still a subject of scholarly debate), then Hertz’s work also insists on the primacy of color over all other painterly ideas and tropes. Her ideas, and those of the synchromists whom she so admired and studied (her master’s thesis is on the work of MacDonald-Wright), are decades ahead of their times in seeing how the liberation of color at the beginning of the twentieth century could lead in all sorts of directions. Looking at Ellsworth Kelly next to Beth Hertz, you’ll see how she anticipated work like his. Occasionally, one sees hints of representation in many of her paintings: they make us remember that Thomas Hart Benton started as an abstractionist and that Jackson Pollock began working with figuration. Beth Hertz enjoys sneaking elements of representation, mainly from landscape and secondarily from figuration, into her work. She is, at heart, a romantic painter, because her love of color is so extreme, and her work tries for universalist themes. Often, her paintings seem interpretations of the universe itself: the first photos from the moon of earth often come to mind in her work. Occasional references to earlier American mystical painters, like Albert Pinkham Ryder, are also clear in her paintings. Her works possess that of optimism and confidence which seems so uniquely American. 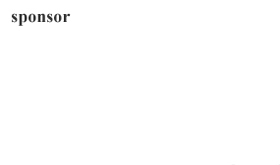 Beth Hertz’s work is now due for reconsideration. Those looking are going to see a truly exceptional American painter who has synchronized and combined all sorts of ideas and concepts about art itself. Hertz presents an alternative to the two usual schools of abstraction, the geometric (best represented by Malevich), and the lyrical, most clearly seen in the work of Kandinsky. 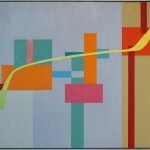 Falling right between these two schools of abstraction, and insisting that color and shape and form can indeed mirror the rhythms of music (think of how differently Mondrian approached the same idea in “Broadway Boogie-Woogie”), Beth Hertz’s paintings appear as new and fresh as if they were just made. The surprise is also in her excellence: she is sure, she is smart, and her paintings have an exuberance that we truly need today: her paintings soar, even those in small scale, and remind us of the vastness of the American landscape, or mindscape, or both. They also possess the human touch, in every one, everywhere, reminding us, too, that the human hand is still something well worth valuing in the creation of art itself. This catalogue essay on Beth Hertz’s art was commissioned by Cincinnati Art Galleries from Aeqai Editor Daniel Brown, and we reprint with the permission of Cincinnati Art Galleries and Daniel Brown.